Based in Cork Wedding Photography is a key part of your wedding which is one of the most special days of your life, one where dreams are realised and memories made. But ask any bride and groom and they’ll tell you - it’s a whirlwind of a day, where time flies by. Here at Sean Jefferies Photography we pride ourselves on making time stand still for our clients by capturing those precious moments from their wedding day and creating lifelong memories. Sean’s style of Wedding Photography can be described as natural, relaxed and a bit of fun! He spends time to get to know his clients, ensuring he captures the story of their day beautifully, authentically and discretely. Most of our wedding clients come from past bride and groom’s recommendations and we were honoured to be finalists for Wedding Photographer of the Year 2017 in this year’s Wedding Online Awards. Based in his studio in Mallow, Co Cork, Sean Jefferies is available for Wedding Photography, civil ceremonies and engagement portraits nationwide. Click HERE to see Packages and Prices for Your Wedding Day. 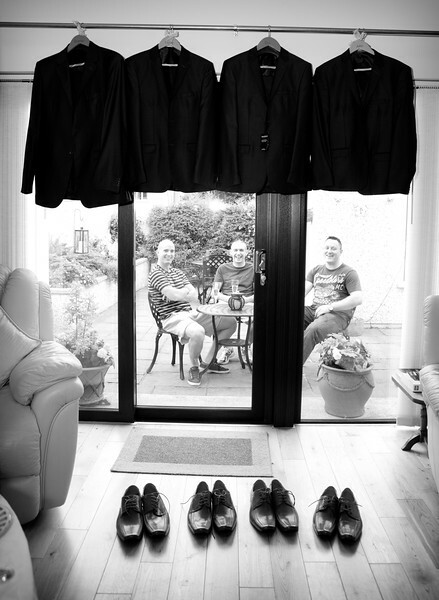 Sean Jefferies Photography, based in Cork Wedding Photography is our life.